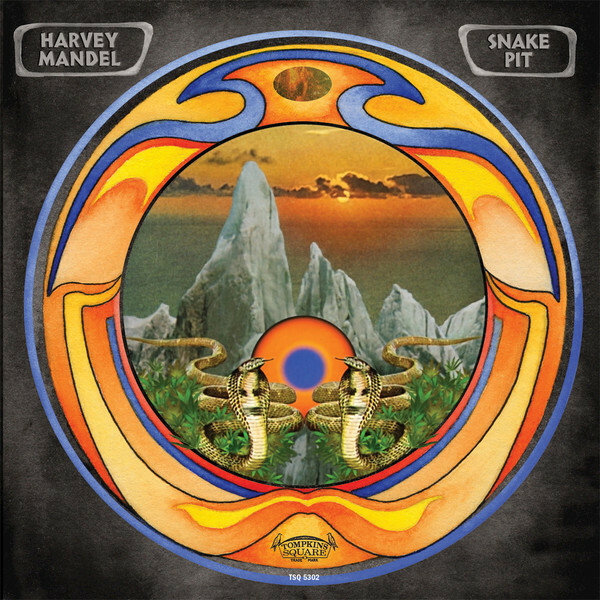 From his earliest days in Charlie Musselwhite’s blues band, and playing for organist Barry Goldberg, guitarist Harvey Mandel has had a very distinct sound, his trademark being a seemingly efforless sustain and controlled feedback, as well as unusual phrasing and two-hand tapping long before others who are often credited with inventing that technique watched from the audience as Mandel pioneered it. Throughout a lifetime of solo releases, stints with Canned Heat, John Mayall, Pure Food and Drug Act, The Rolling Stones, and of late a six year battle with cancer, he has continued performing and recording. Snake Pit is as strong a release as any he has released to date, eight gritty instrumentals that straddle the rock, blues, and jazz idioms, showcasing his abilities throughout. The title track, which opens the disc, is a bluesy rock number that pushes all the boundaries and offers the listener an unmistakable swath of his signature sound. Joining him are drummer Ryan Jewell, bassist Anton Hatwich, keyboardist Ben Boye, and support guitarist Brian Sulpizio, along with conga player Jose Najera. He took the opportunity here to reimagine four tunes culled from his earlier recordings, the first being “Space Monkeys,” which originally appeared on his 1997 album Planetary Warrior. “Jackhammer” originally appeared on his 1999 techno album Lick This, now reworked as a funky and muscular rock number with the full band supporting. “Buckaroo” is a stirring and introspective blues-rock number with amazing shred power throughout, pulling all kinds of unusual sounds out of his six-string. “Before Six” was a jazz number on his debut album back in 1968; here it gets a more funky and gritty reworking, with two guitars dueling with electric piano and organ, surely one of the album’s highlights. “Ode to B.B.” is an upbeat blues number that closes the album nicely. All taken, Snake Pit is a rough and ready high-energy workout from the first note to the last.